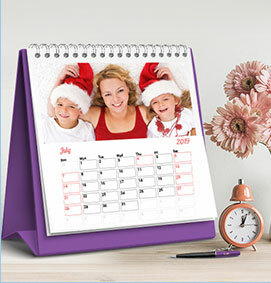 78% Off on Photo Calendars | Promo Applied! A charming custom poster calendar accent for any room. A 2019 custom photo poster calendar is the perfect addition to any home. 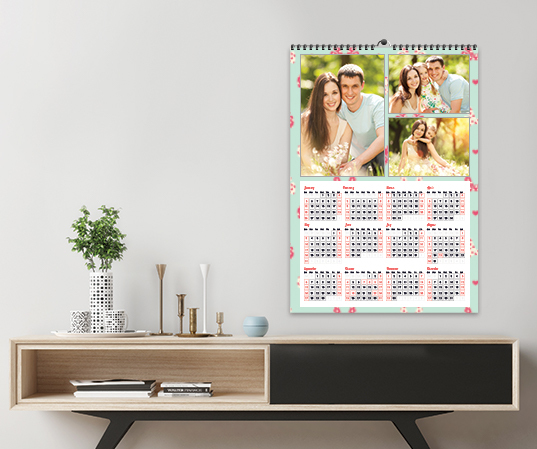 Practical AND attractive, personalized poster calendars remind you of those special moments the minute you walk into a room. 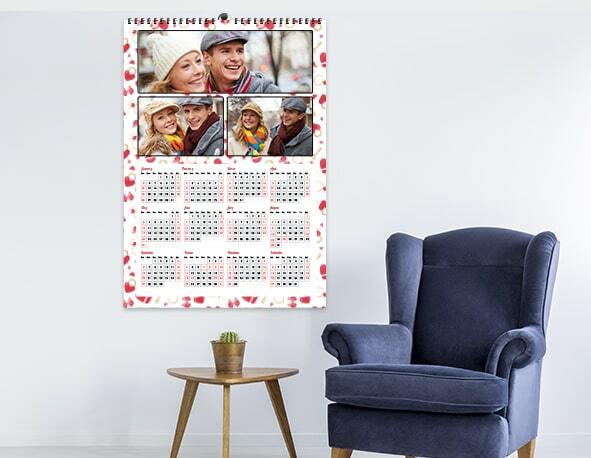 Make your own poster calendar with pictures, quotes, and special thoughts to brighten up your walls and your heart. 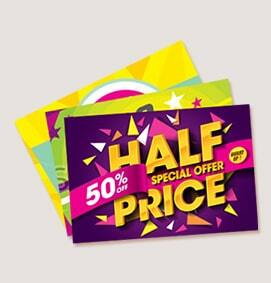 Printing: Canon Inkjet High-Definition Digital Printing. Options: Add up to 4 photos and your company information. Shipping: Flat-fee shipping of $9.99 for any quantity. 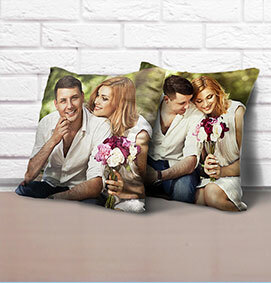 Need the perfect decoration for that bare wall? How about a personalized touch in the playroom or basement? 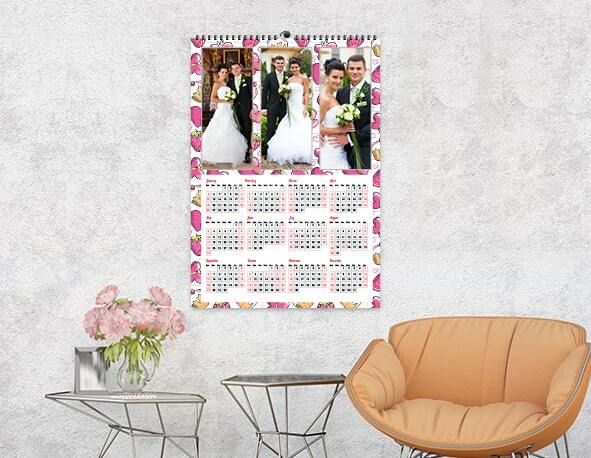 A personalized photo poster calendar adds a great touch to any room. When you customize your own poster calendar online, you can fill your walls with loved ones and special friends. 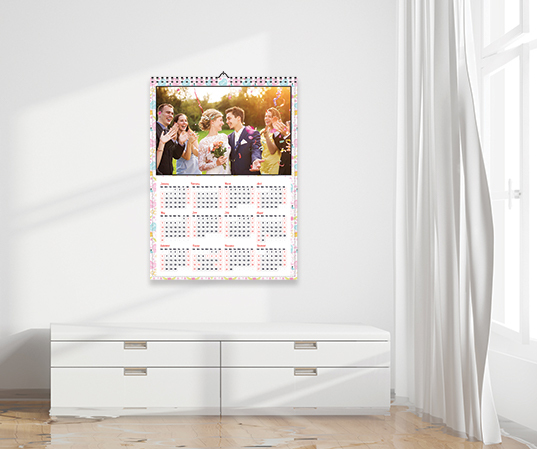 We make your photo poster calendar from high-quality matte paper, so it adds a touch of class to your room. And quality materials mean your personalized poster calendar will last beyond 2019. Get a photo poster calendar every year and make a collage of your great memories! 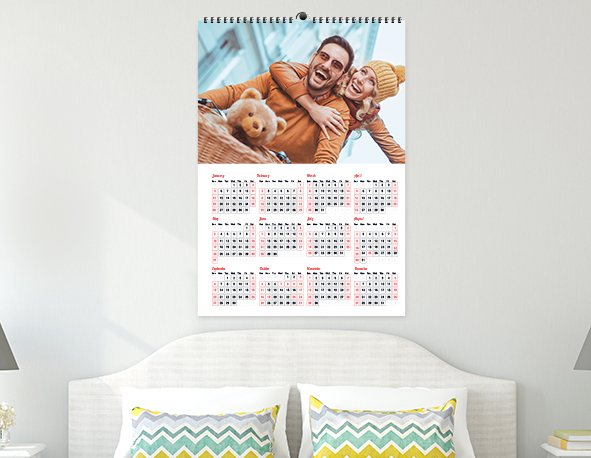 When you design your 2019 photo poster calendar, you can choose from many sizes to suit any wall. Choose a large poster calendar to fill that empty wall or a small photo calendar for that last perfect addition. At CanvasChamp, we have the choices you need. 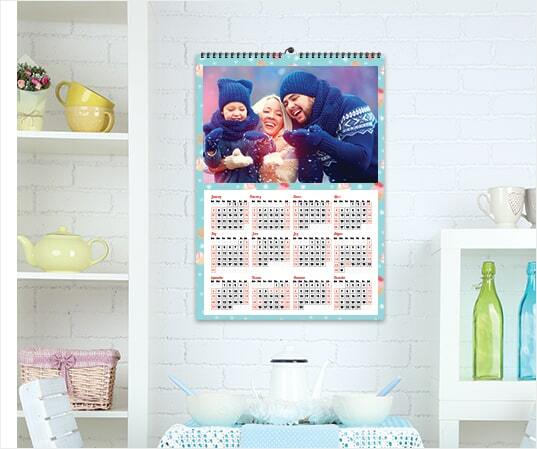 Choose from dozens of design themes when you make a photo poster calendar with CanvasChamp. 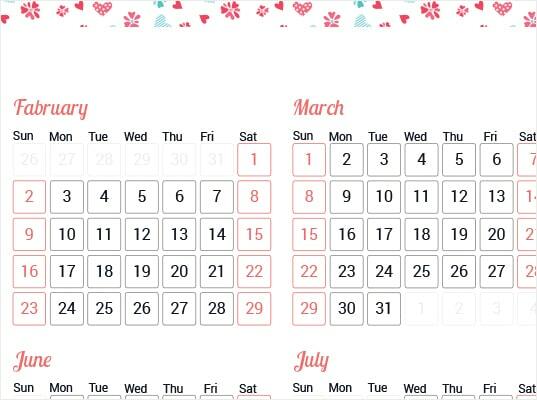 Our online design tool makes it easy to create the perfect customized calendar. Whatever your decor, a customized poster calendar can be a centerpiece or an accent to your design scheme. 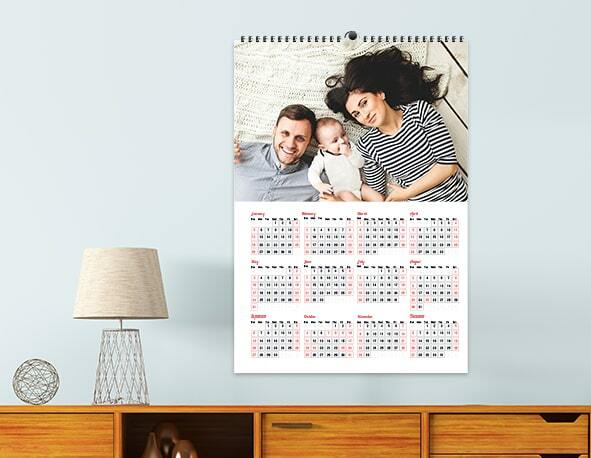 With a personalized poster calendar from CanvasChamp, you'll stay organized with special occasion's right in front of you. 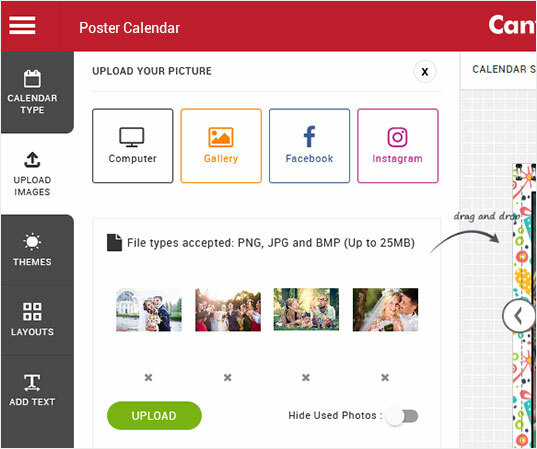 When you customize your own poster calendar online, you can add custom dates, so you never forget to purchase that birthday card or give a well-earned congratulations. A photo poster calendar is lovely and practical. 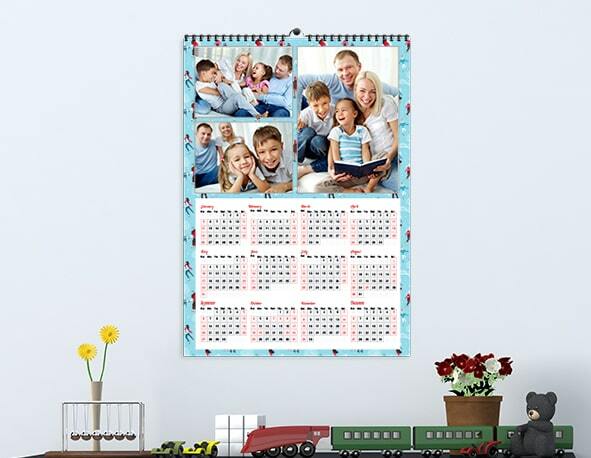 A Custom Photo Poster Calendar is the Perfect Gift for Grandparents and Special Friends! Need giftwrapping? No problem. A personalized calendar is the easy solution for your gift-giving needs. With our online design tool, you just upload your photos, pick a design, add quotes or dates – anything that inspires you – and leave the rest to us. Your personalized photo poster calendar will be ready and at your door in just days. text, background color, logo, and more. to bring a classic look to your workspace. Available in regular and premium format. canvas photo prints. Upload your pictures or art now!